The last in a series of storm systems is set to roll into California late Wednesday into Thursday with powerful winds and heavy precipitation. A dry offshore flow behind the system brings cooler morning temperatures into the rest of the week. Generally, dry conditions with just a slight chance of light showers are forecast across Mexico as a dry offshore flow continues. A chance of light showers is forecasted for the southwestern desert regions as the storm track remains to the north. Cooler temperatures into next week behind the system as the storm track remain north of the region. 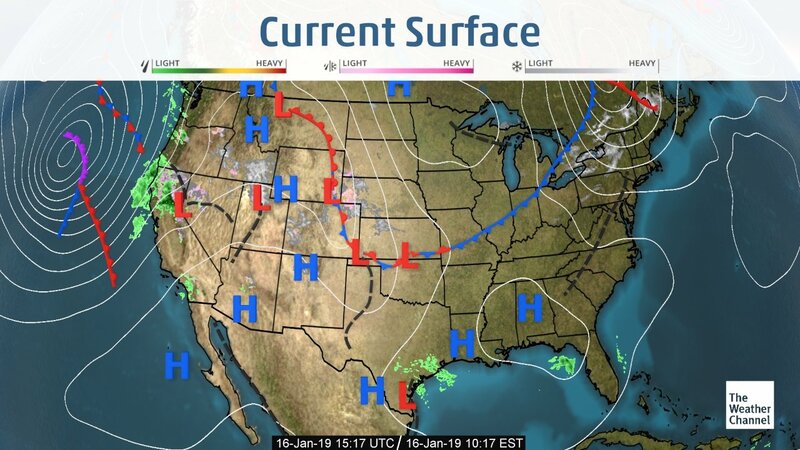 High pressure will provide dry conditions across Florida this week. A cold front brings rain and cooler temperatures early next week with minimum temperatures in the freeze warning range early next week. Another system looks to impact the region mid-week. California and Yuma trucks are both remain steady this week. Washington apple trucks are steady as well. Idaho potato and onion trucks remain extremely tight. Colorado trucks are also extremely tight. 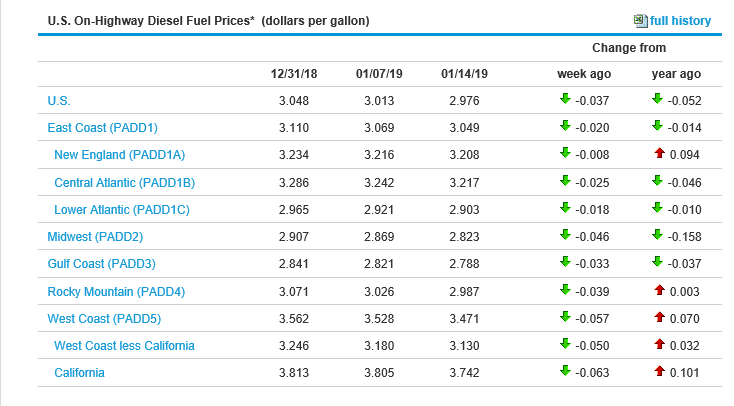 The national average on diesel dropped slightly this week and is currently at 2.976 per gallon, .052 lower than this week last year. California prices dropped as well and are now at 3.742 per gallon. Crude oil prices remained steady and are currently at 52.02 per barrel. Grapes (Green) : Supplies remain very limited. Markets are higher. Grapes (Red) : Delays at port continue to effect availability. Markets are firm. 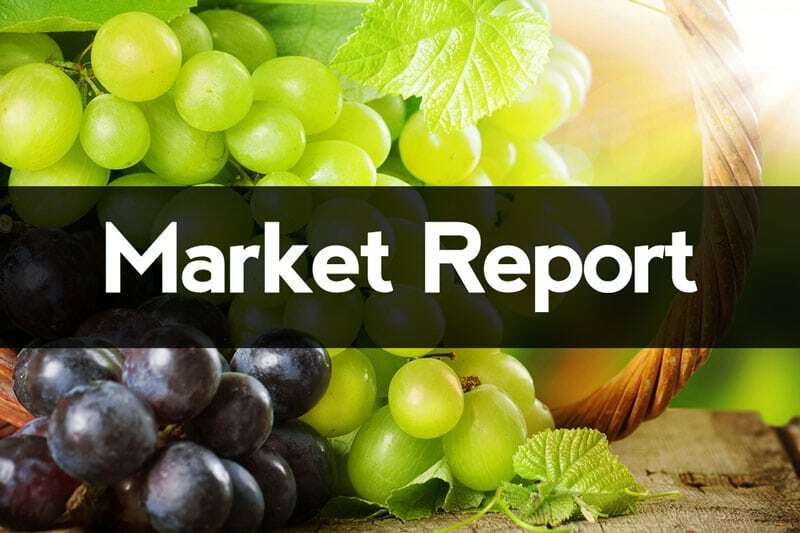 Stone Fruit: Import arrivals remain limited, better availability expected next week.